So many people are turned off by politics. It seems so full of people who frankly, might as well be from a different planet. We see politicians talk about the UK being in recovery, and most people’s response is “really? I hadn’t noticed”. However we DO all have opinions on political issues. The country has shown it’s anger at the political class by using UKIP to give them a kick up the rear, but I think we can do better than UKIP. So, in the wake of the local and European elections a website like http://uk.isidewith.com is worth a look. 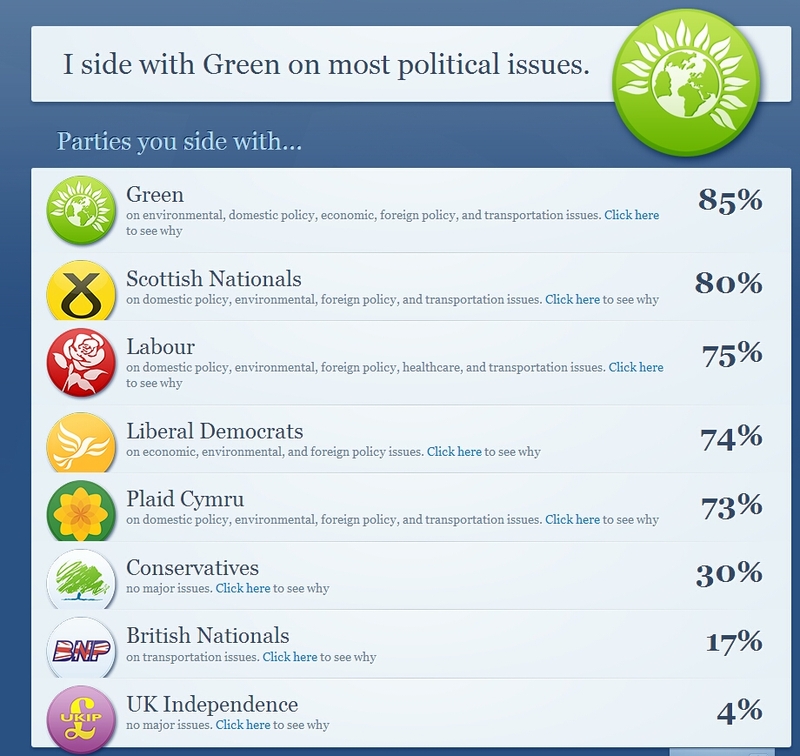 I had a go at their quiz and it came out pretty acute for my political leanings. As a youth worker, I will be encouraging young adults to have a go as we get closer to the general election next year. In the meantime it’s a gentle way for us all to reengage in politics. We might not like what we see, but the only way for it to change is if we participate on mass.